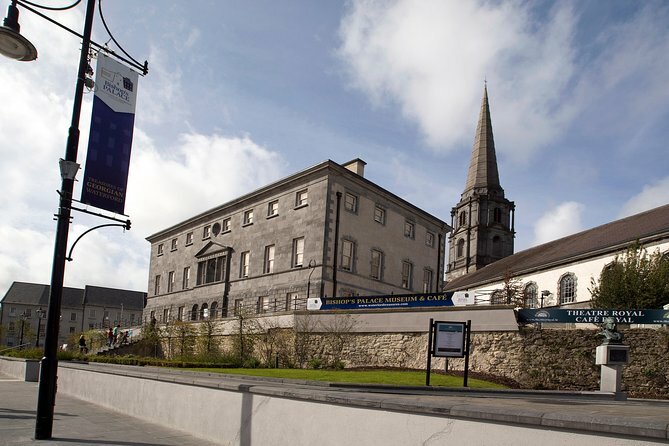 Waterford city boasts the finest collection of 18th Century architecture of any city in Ireland outside of Dublin. Its great legacy from this era includes elegant architecture, silverware and of course, fine glassmaking. This period of elegance began in Waterford in 1741 when the Anglo-German architect Richard Castles designed the wonderful Bishop’s Palace. Castles built the Palace with its front overlooking the town wall which he had reduced in height so that it formed part of the palace’s terraced garden. Today Richard Castles is celebrated as one of Ireland’s greatest architects having designed most of the great houses of Ireland including the seat of the Irish parliament, Leinster House in Dublin. Operates: Open daily year round including Sundays and Bank Holidays, excludes Christmas Day, St. Stephens Day and New Years Day.